Mark Anthony Neal is Chair of the Department of African & African American Studies and the founding director of the Center for Arts, Digital Culture and Entrepreneurship (CADCE) at Duke University where he offers courses on Black Masculinity, Popular Culture, and Digital Humanities, including signature courses on Michael Jackson & the Black Performance Tradition, and The History of Hip-Hop, which he co-teaches with Grammy Award Winning producer 9th Wonder (Patrick Douthit). He also co-directs the Duke Council on Race and Ethnicity (DCORE). 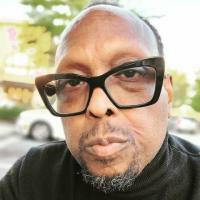 He is the author of several books including What the Music Said: Black Popular Music and Black Public Culture (1999), Soul Babies: Black Popular Culture and the Post-Soul Aesthetic (2002) and Looking for Leroy: Illegible Black Masculinities (2013). The 10th Anniversary edition of Neal’s New Black Man was published in February of 2015 by Routledge. Neal is co-editor of That's the Joint: The Hip-Hop Studies Reader (Routledge), now in its second edition. Additionally Neal host of the video webcast Left of Black, which is produced in collaboration with the John Hope Franklin Center at Duke. You can follow him on Twitter at @NewBlackMan. I am engaged in interdisciplinary scholarly work in the fields of African-American, Cultural, and Gender Studies that draws upon modes of inquiry informed by the fields of literary theory, urban sociology, social history, postmodern philosophy, Queer theory and most notably popular culture. My broad project is to interrogate popular culture--music, television, film, and literature--produced within the context of Afro-diasporic expressive cultures. It is my belief that popular culture represents an arena of knowledge that has a profound impact on societal and cultural norms in the United States and globally, but one that has been largely underscrutinized as a "serious" site of scholarly and theoretical study. It is also my belief that commercial popular culture represents a distinct site of ideological production, thus my own work aims to engage the ideological undercurrents within commercial popular culture particularly within the context of race, gender, sexuality, class, and ethnicity.